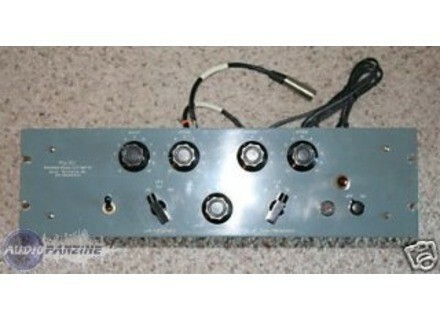 The Pultec EQP-1 filter is a classic equalization unit in the form of a rackable piece of outboard gear. It is an all analog unit and it will take up two rack space units. The configuration of the Pultec EQP-1 is very easy to follow and to use. It basically has two bands - one for low frequency and one for high frequency. For each of these, it has a knob to choose the exact frequency, and knobs for boost and attenuation. It also has a bandwidth knob that applies to both of the bands and has an attenuation selector that also applies to both of the bands. 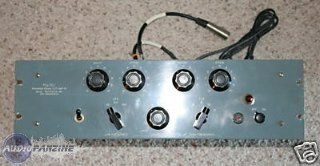 I don't have the manual for this EQ, as it is old and rare, but I never needed it and if you have ever used a basic EQ you should have no issues with this. The sound quality of the Pultec EQP-1 is awesome in every aspect. It is an effective EQ, with all the parameters needed to do the job well. It has become a classic piece of gear for one reason, and that is because it just sounds so good. I have used this on everything from lead vocals to guitars and drums, always with great results. In terms of outboard EQs, it doesn't get much better than this. I've been using the Pultec EQP-1 filter for about two years and whenever I have access to it, I always use it. It is extremely expensive now because of how rare and coveted they are, so I would only recommend trying to purchase this to those who are really looking to put together or add to a top flight professional studio. For the rest of us, we are lucky to be able to use these. Overall, the Pultec EQP-1 is one of the best EQ/filters ever made.